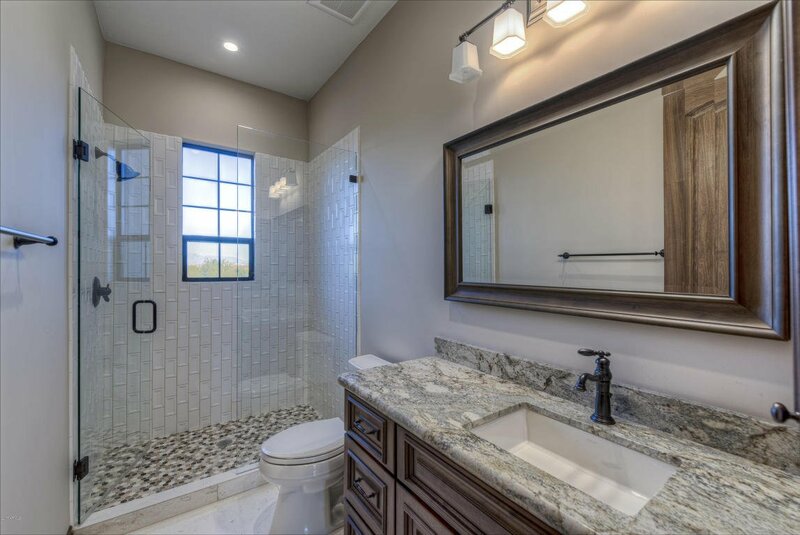 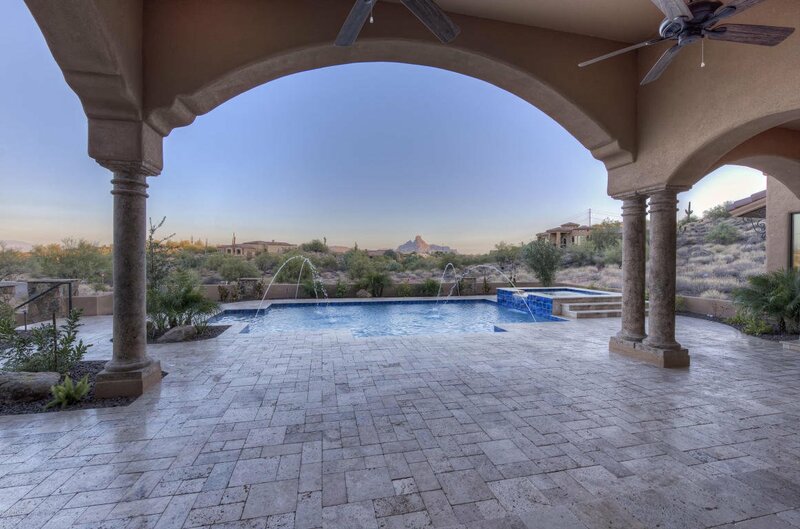 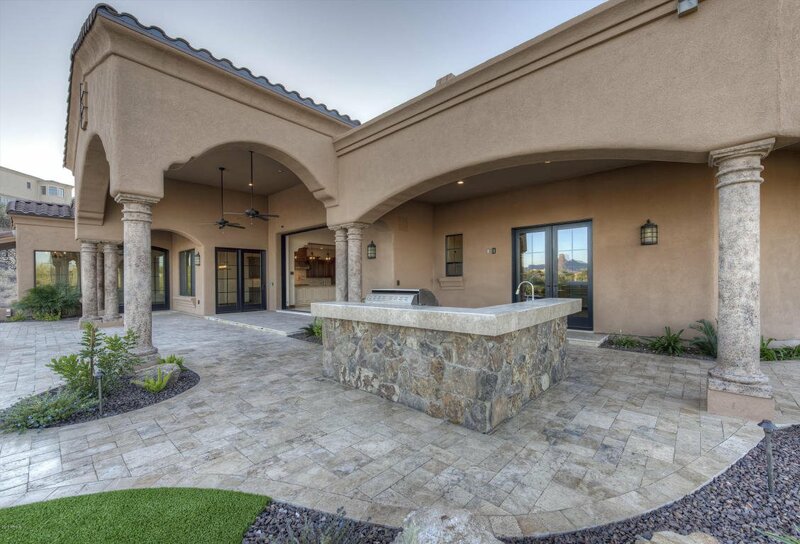 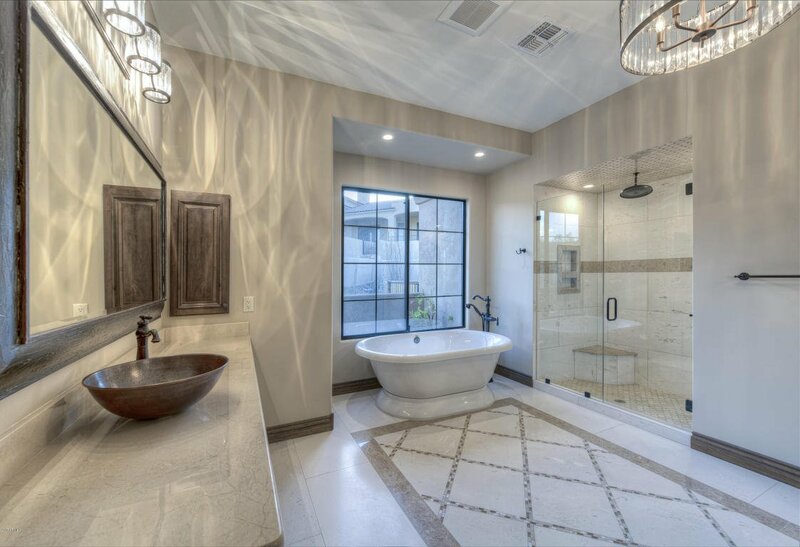 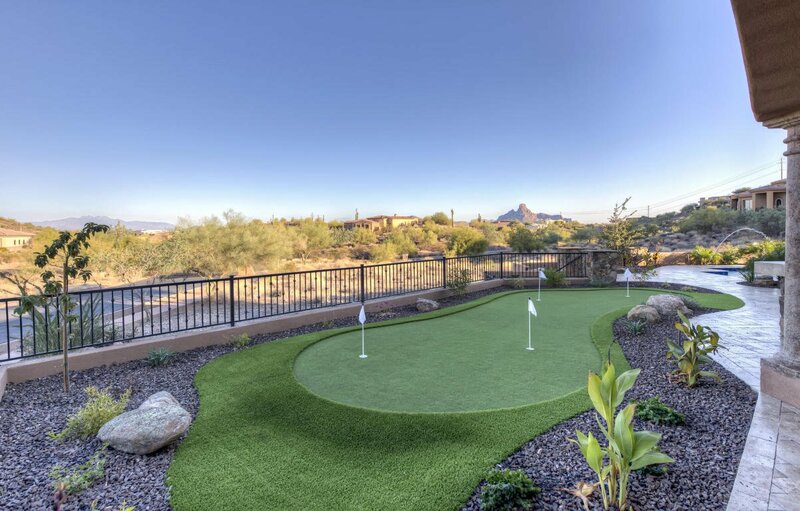 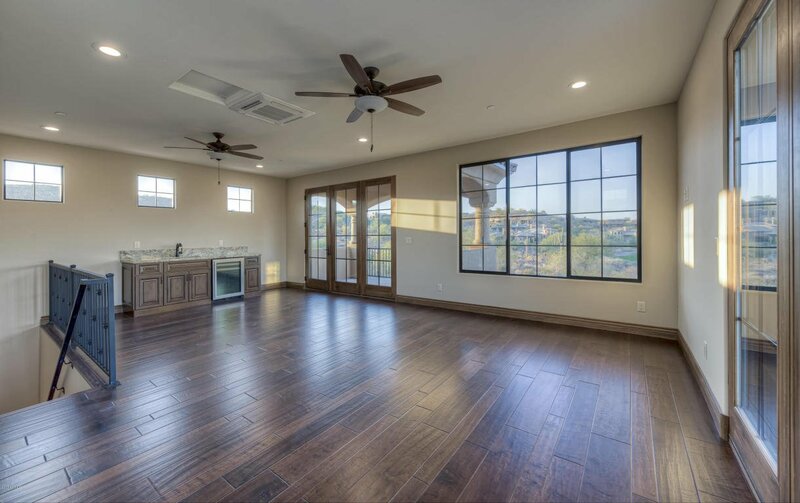 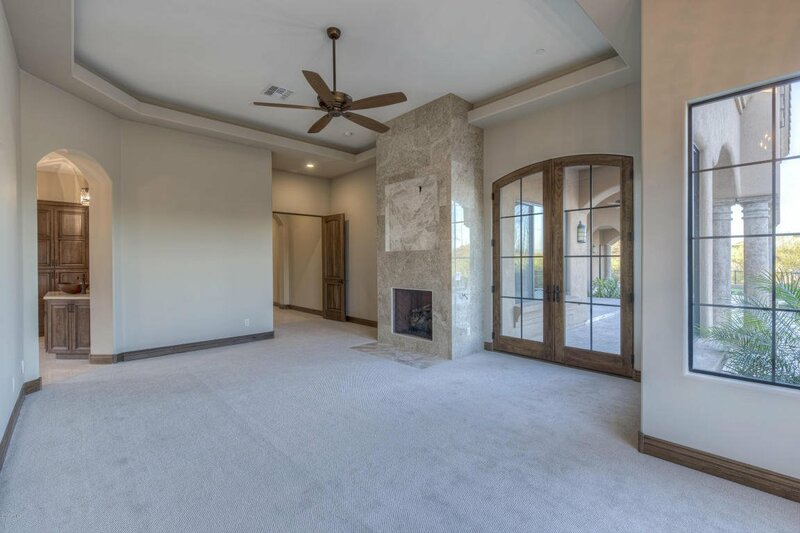 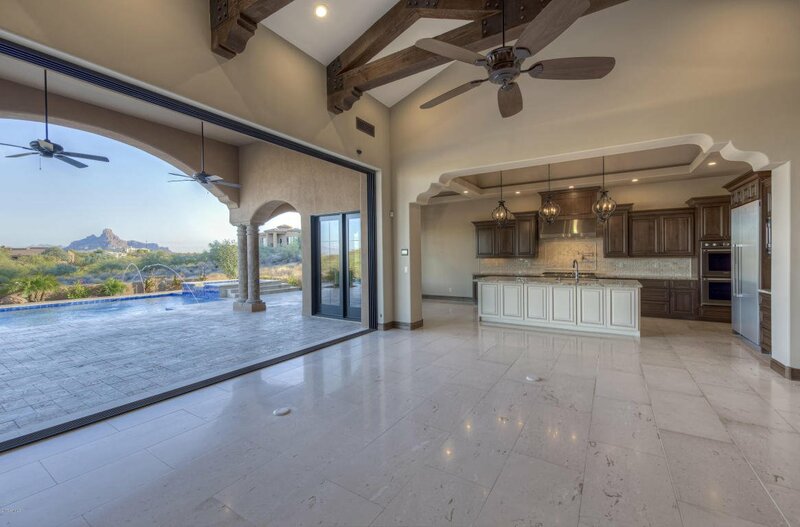 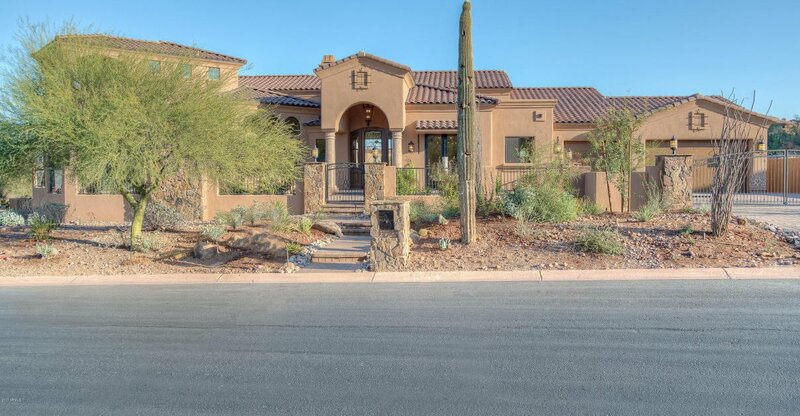 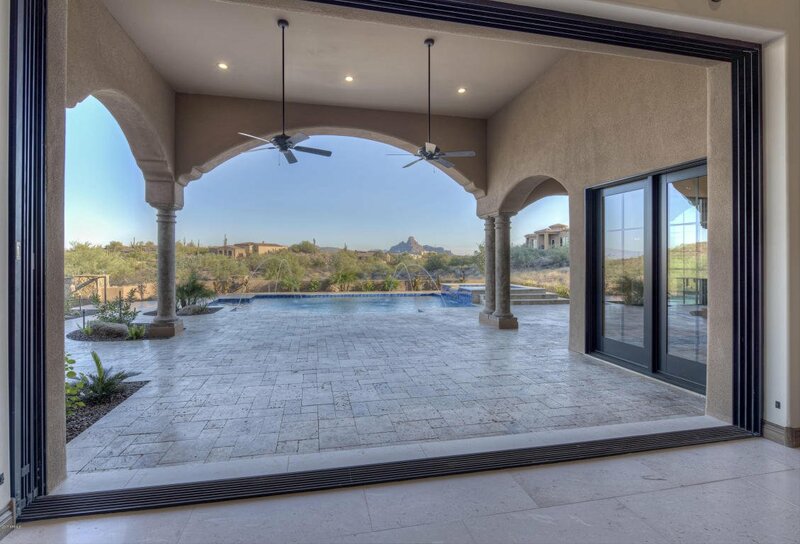 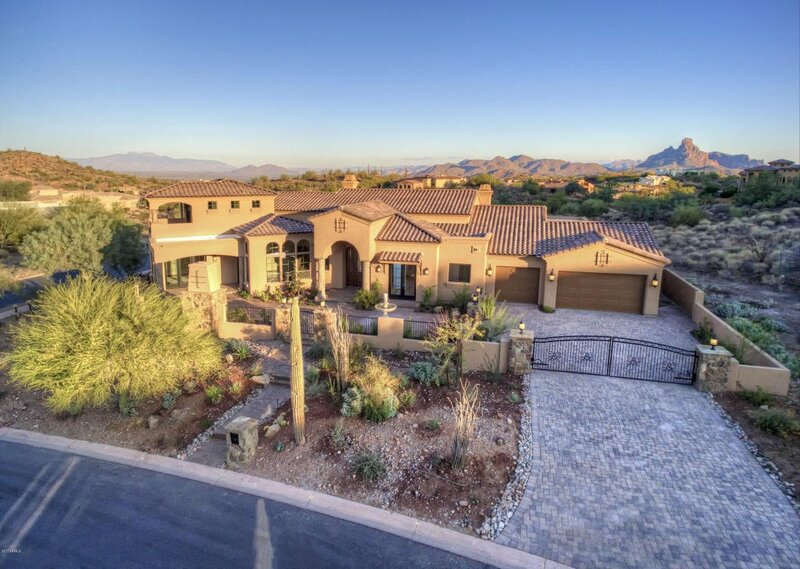 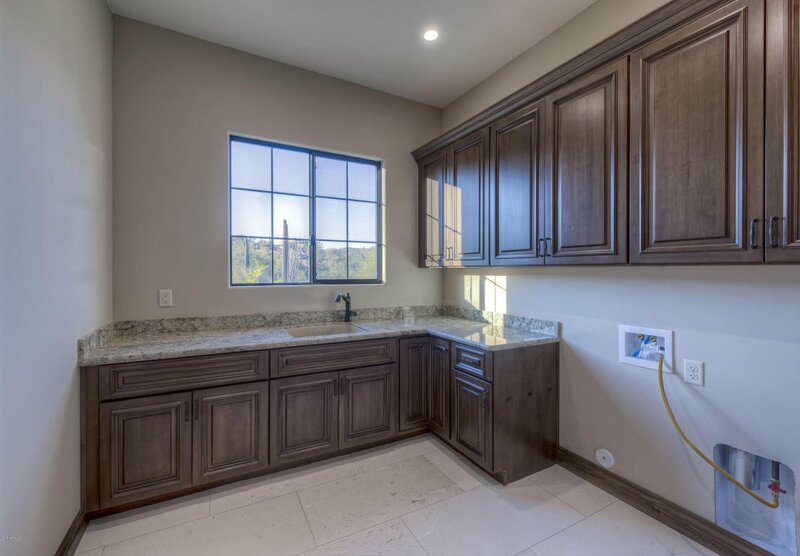 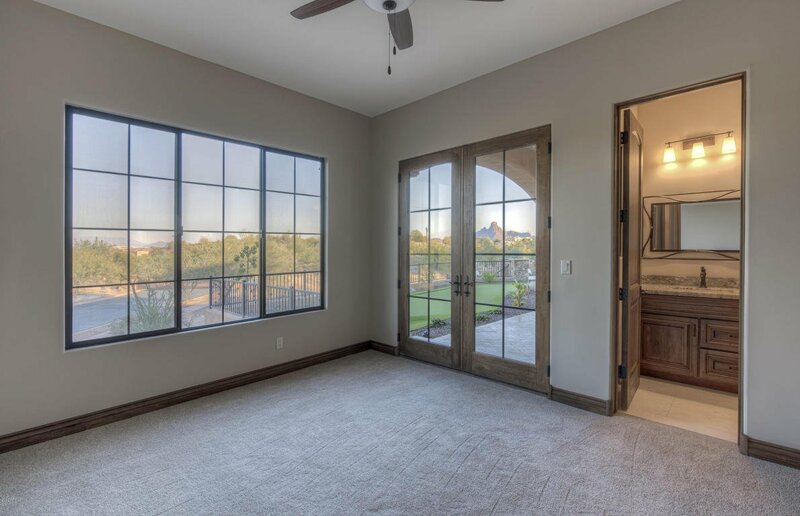 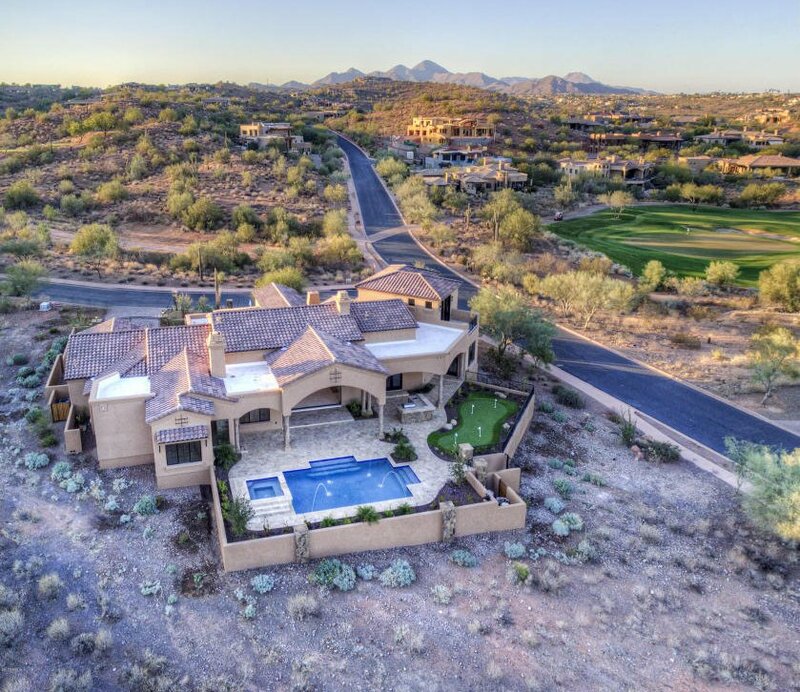 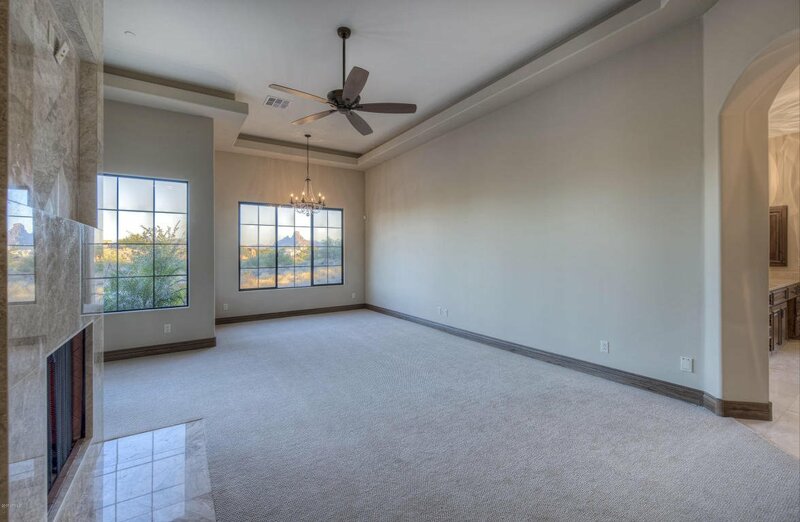 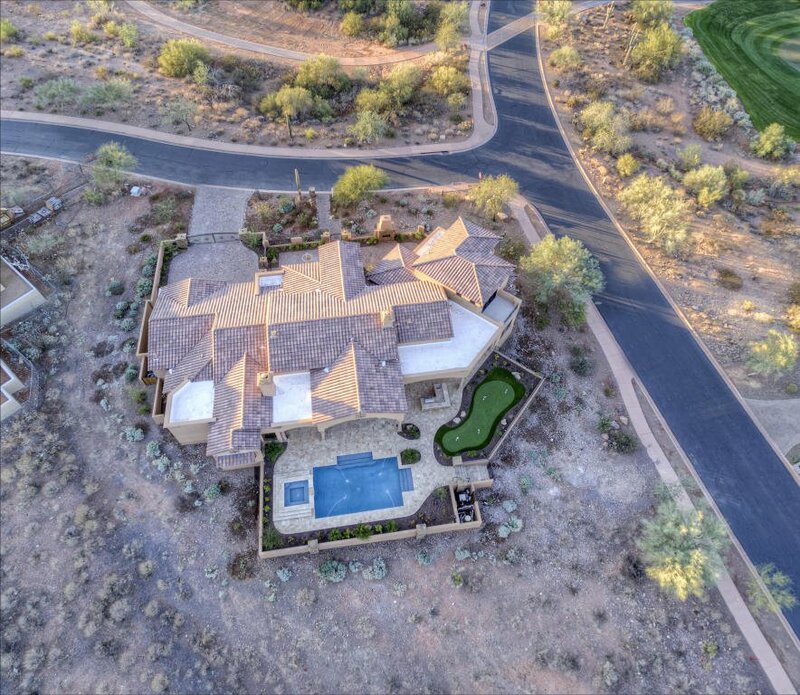 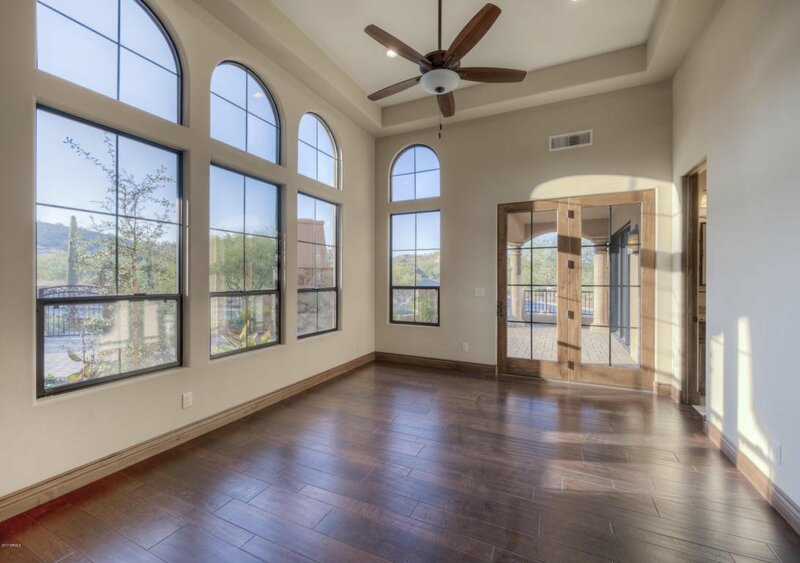 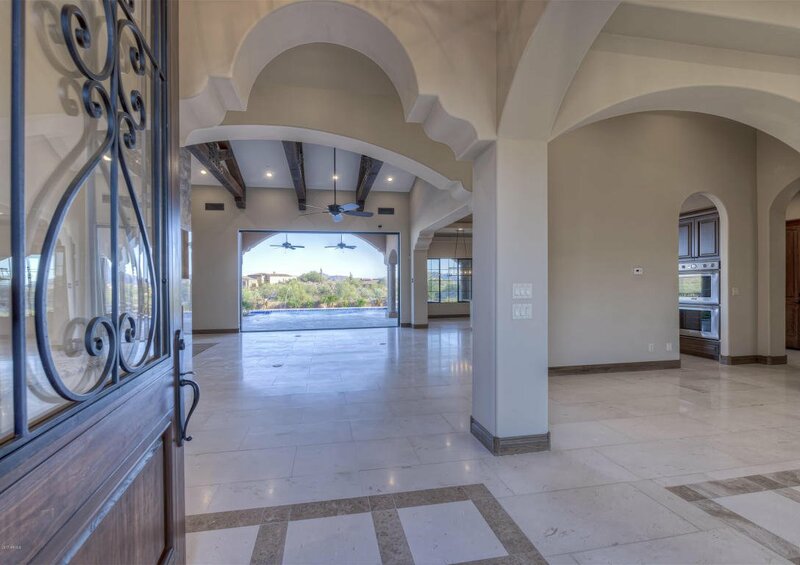 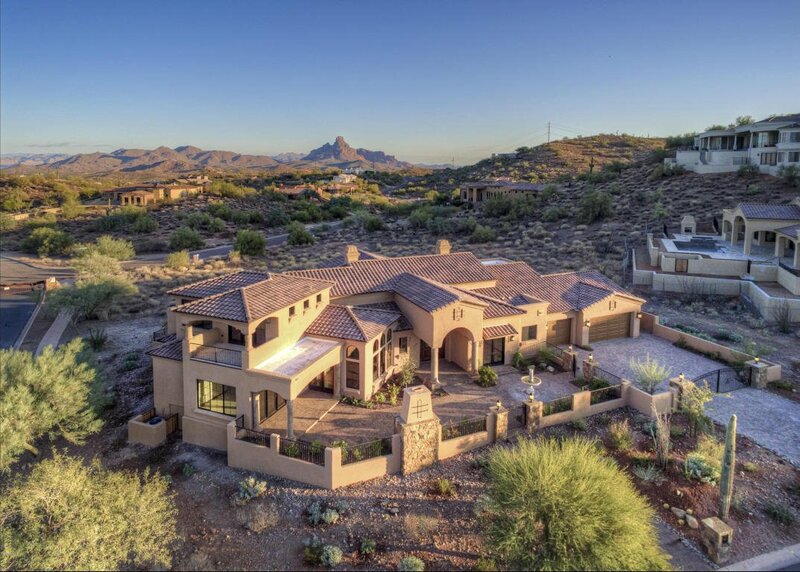 A spacious front courtyard with gas fireplace & fountain welcomes you to this gorgeous home with Red Mountain, Four Peaks & golf course views. 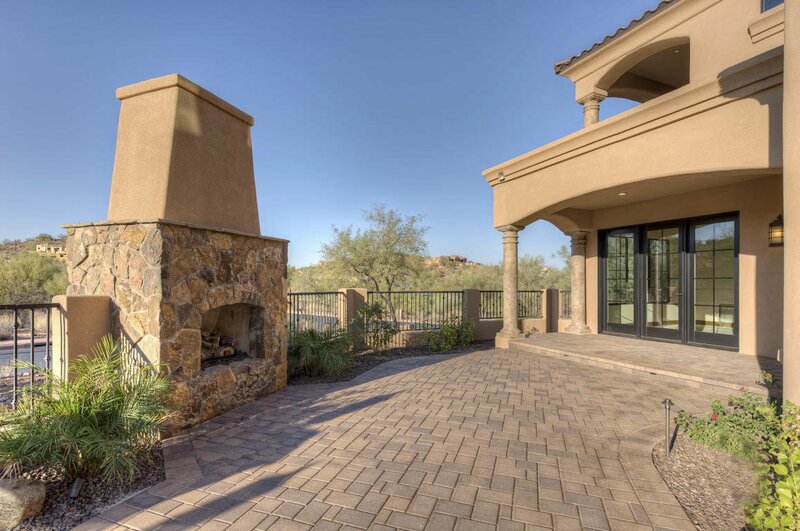 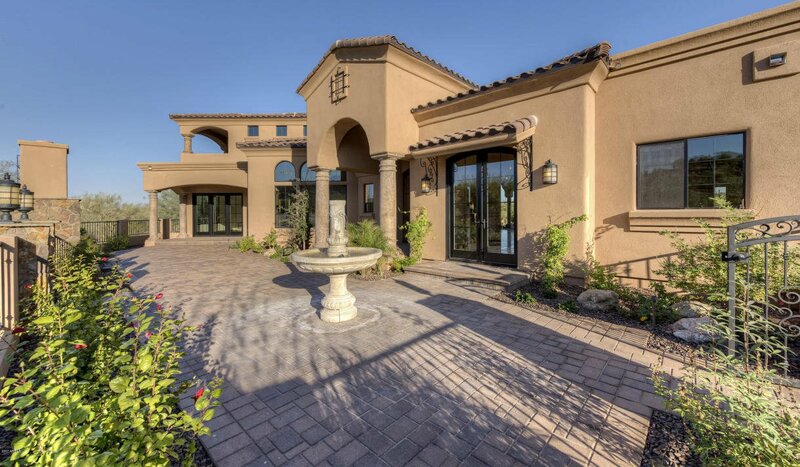 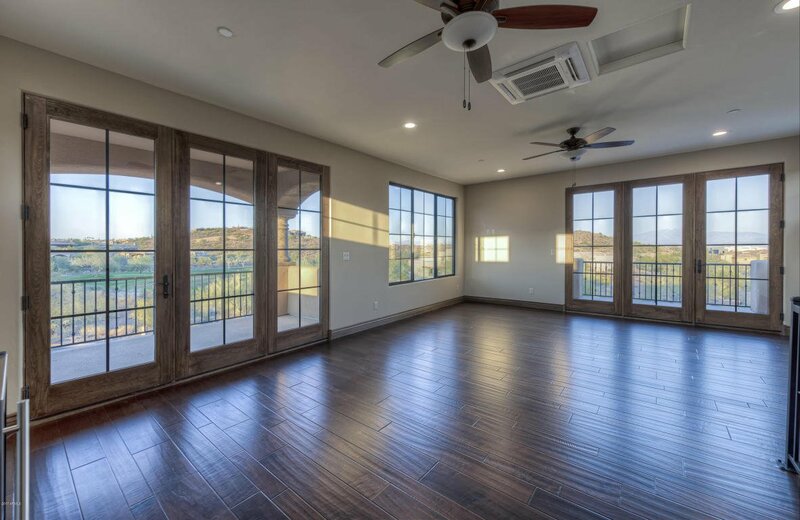 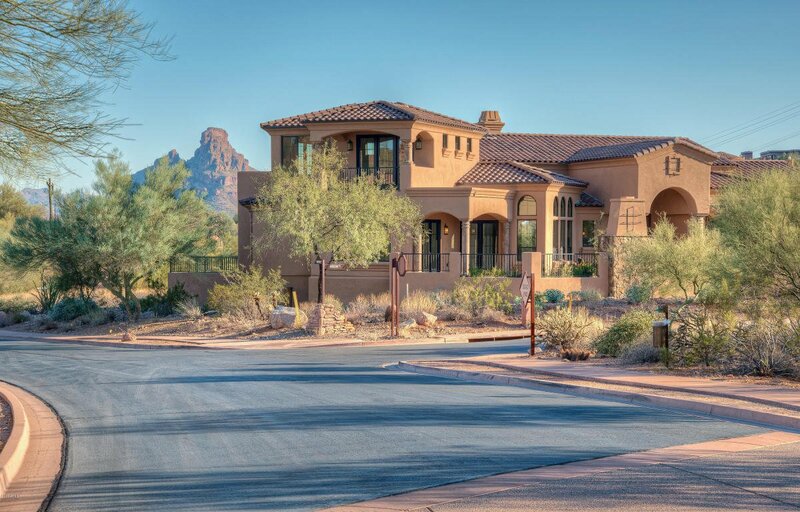 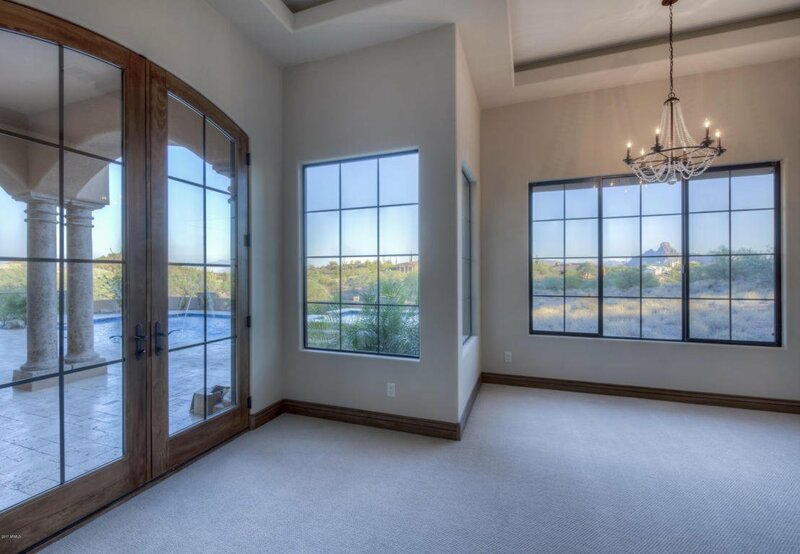 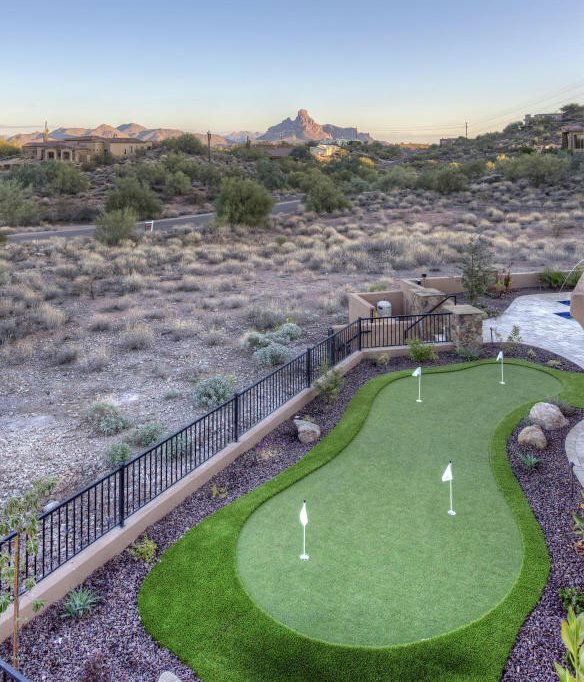 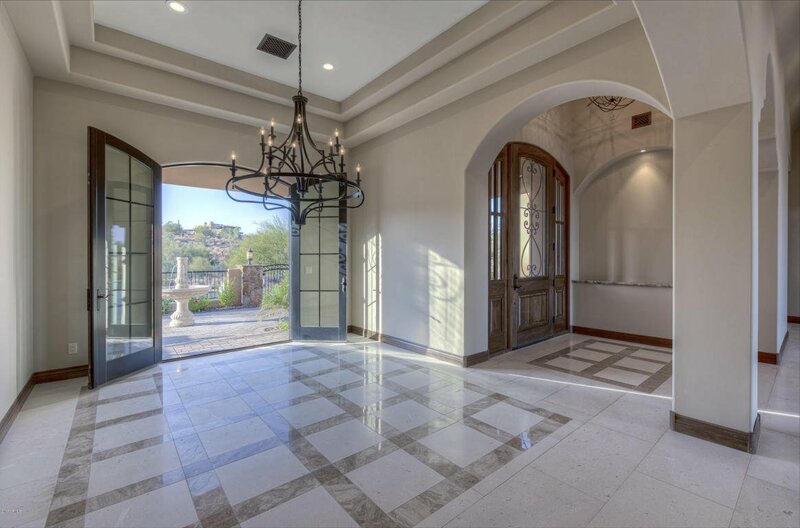 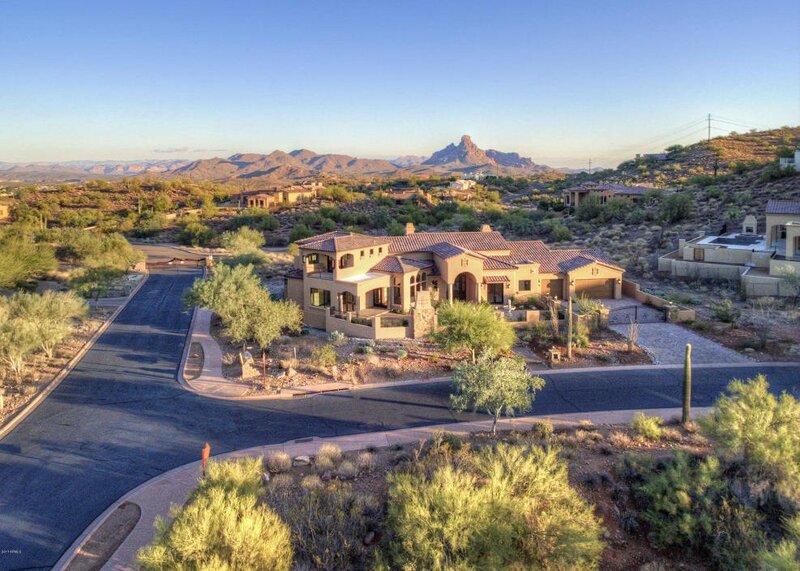 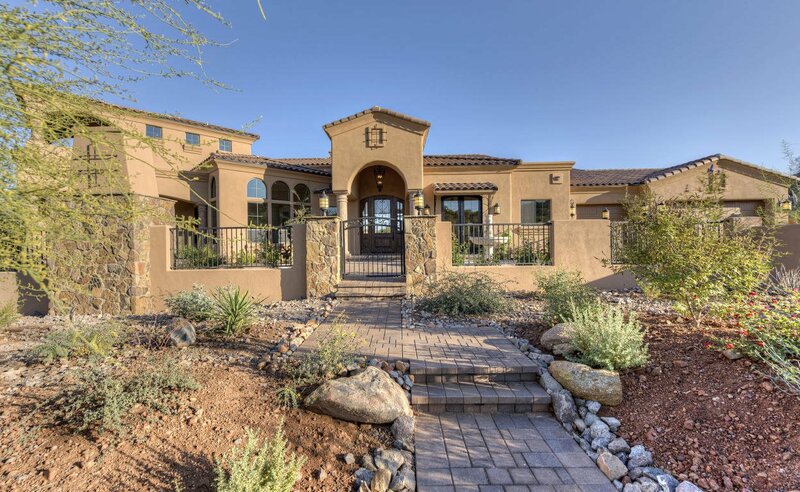 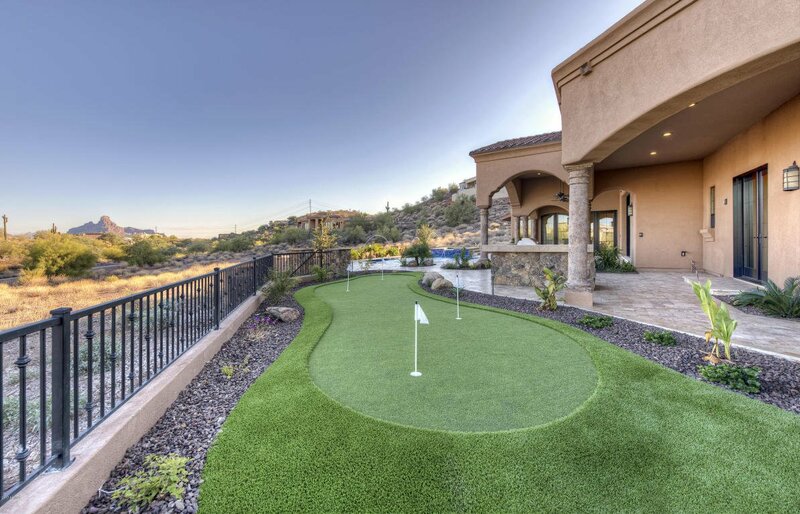 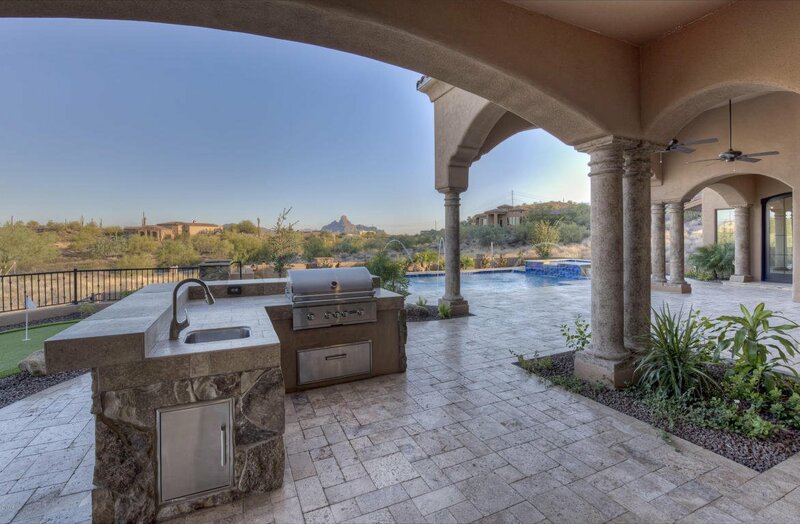 Enjoy single-level living in guard-gated FireRock Country Club. 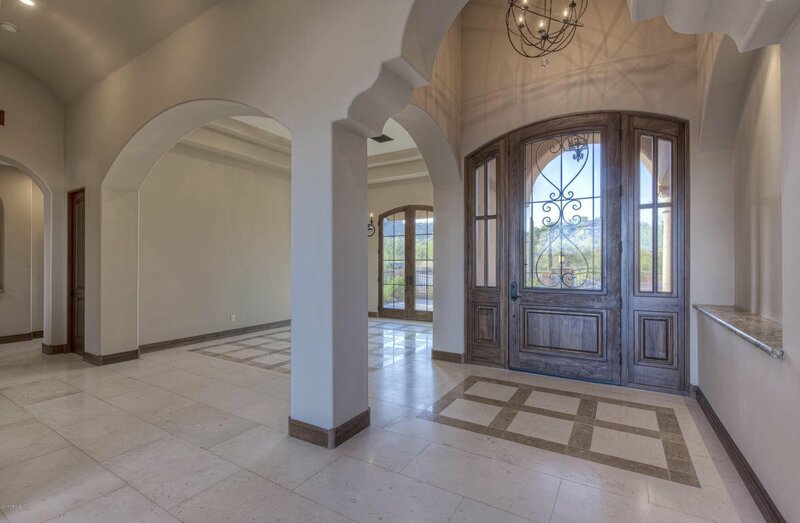 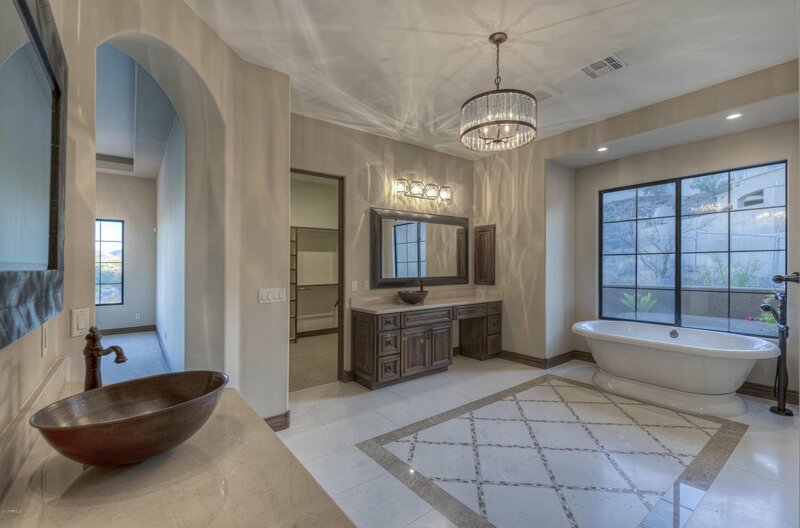 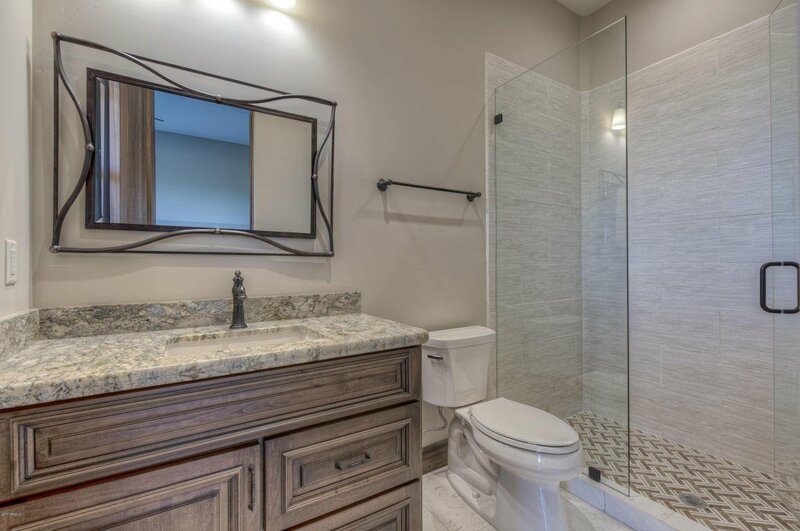 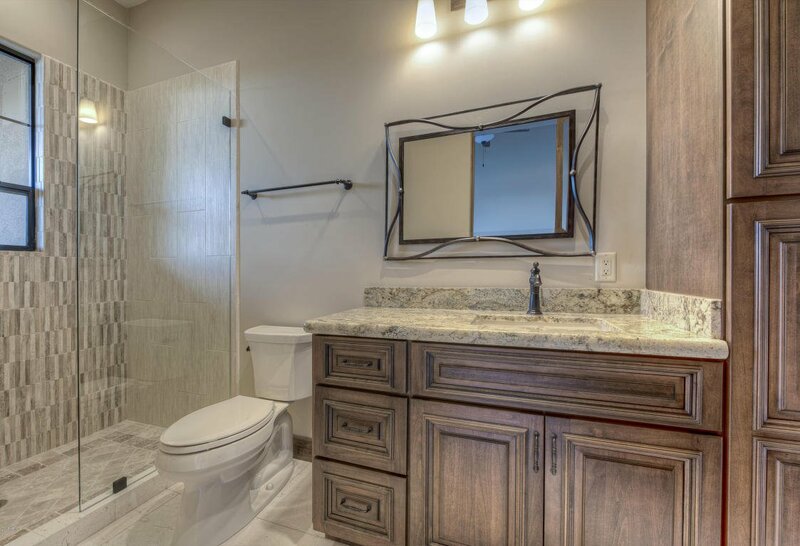 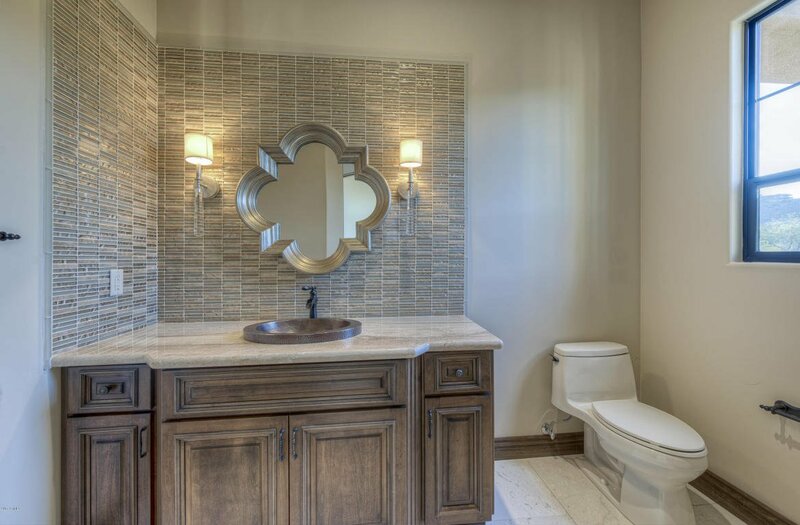 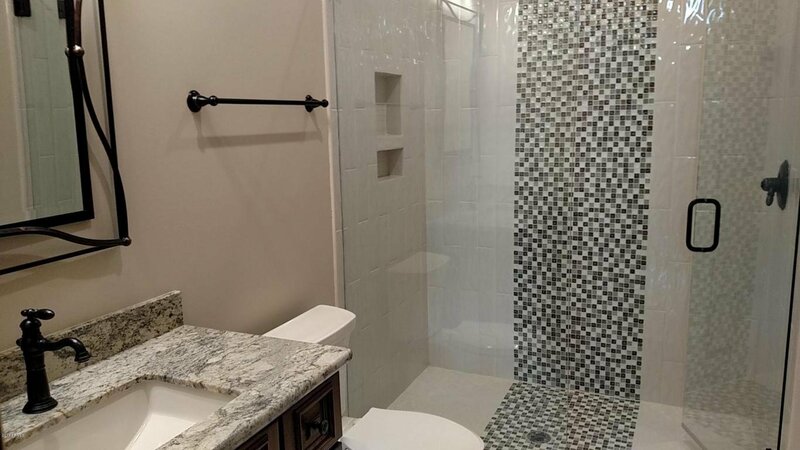 The home has 4 ensuite bedrooms plus ensuite office, family room, formal dining room & eat-in kitchen. 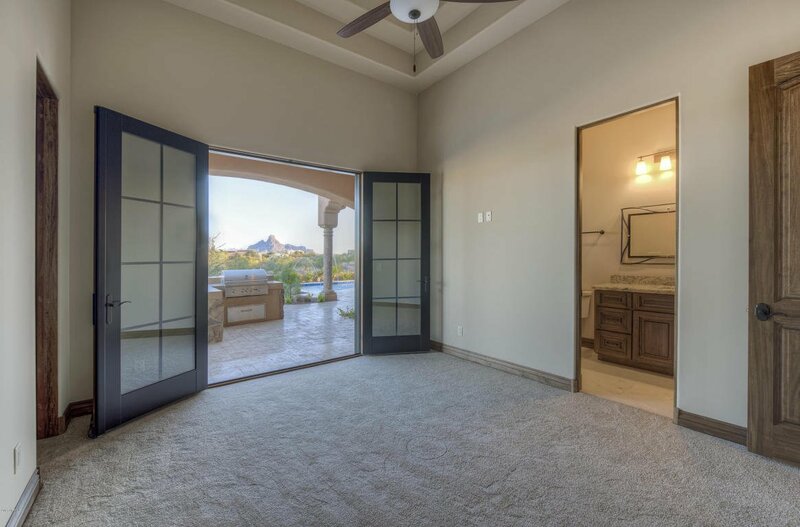 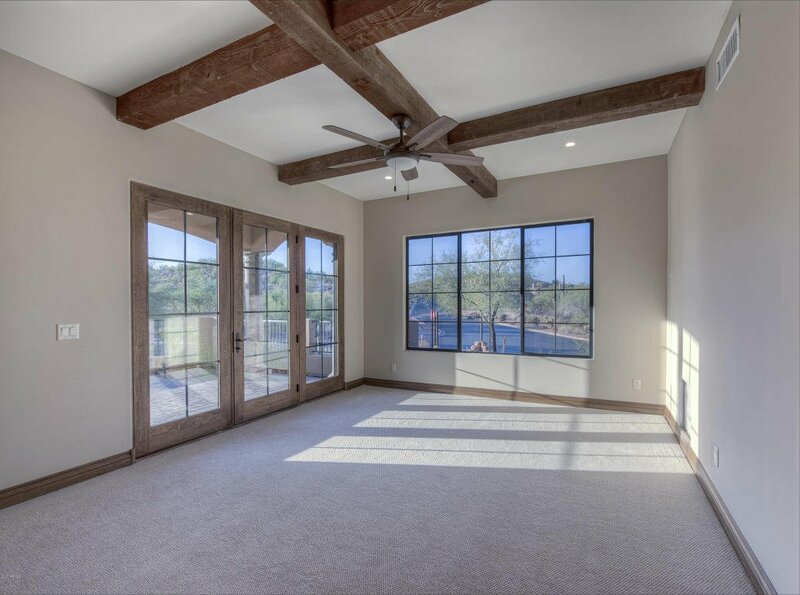 Each room has a door to either the courtyard or back patio. 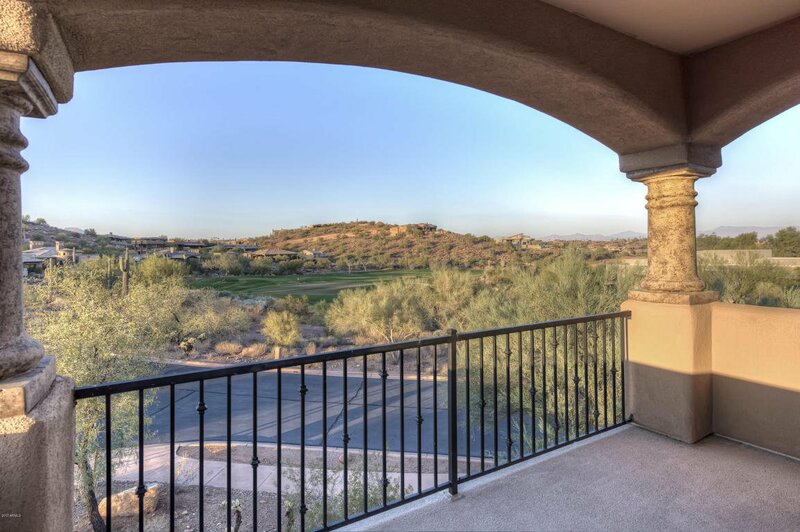 Additionally there is an upstairs belvedere with wet bar, 2 balconies & more beautiful views. 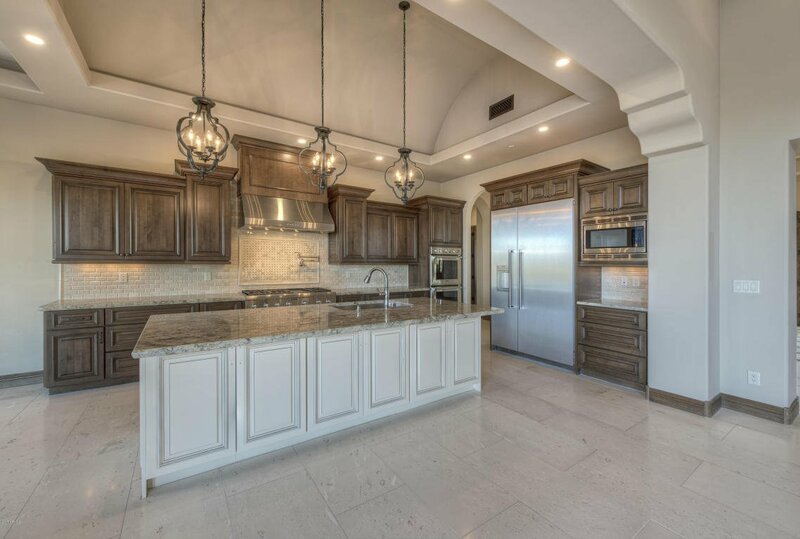 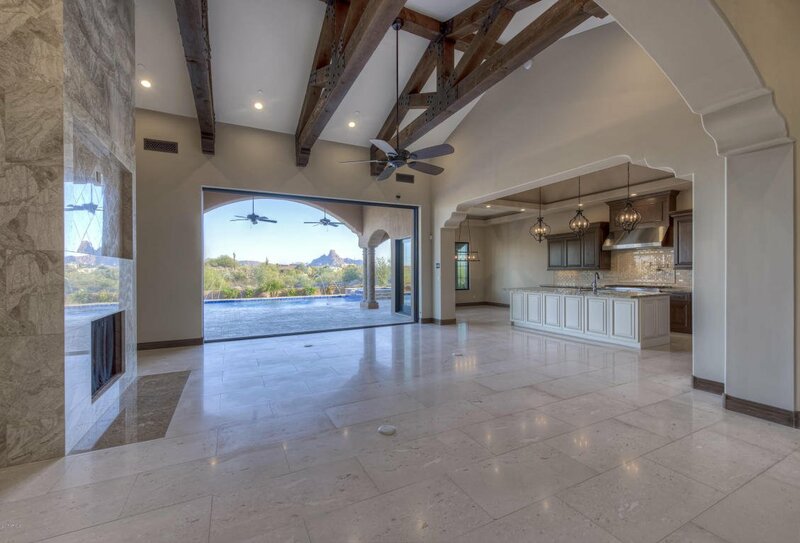 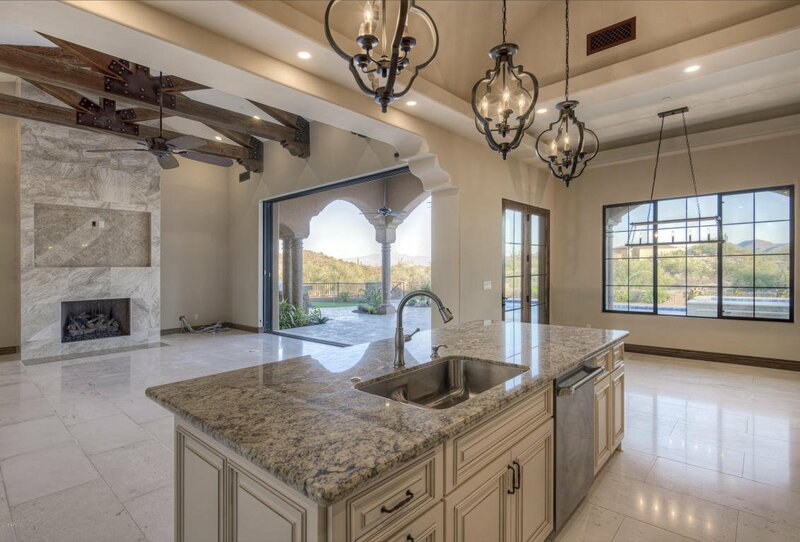 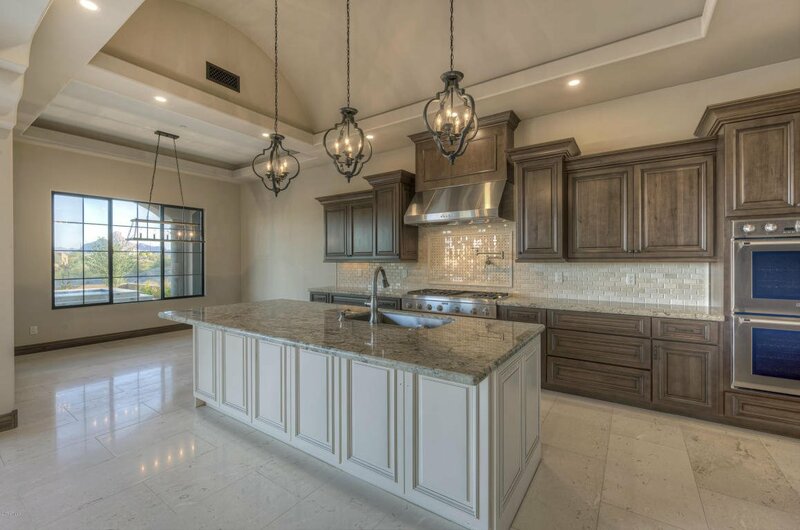 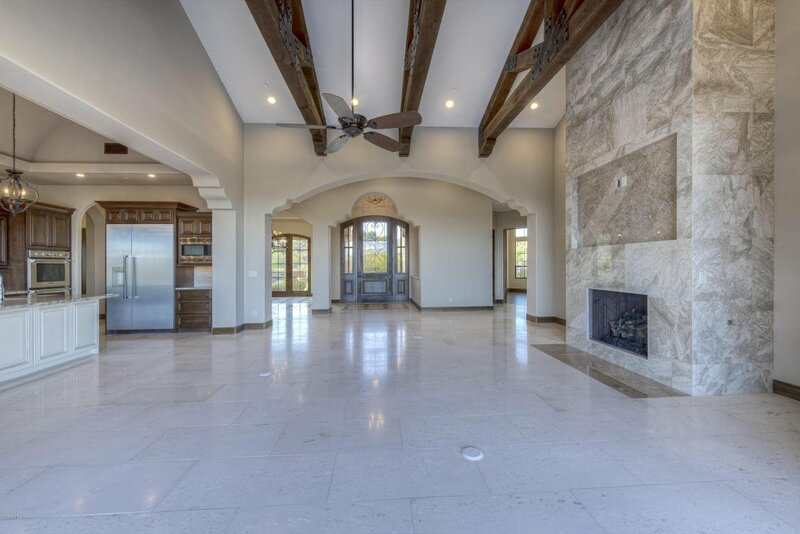 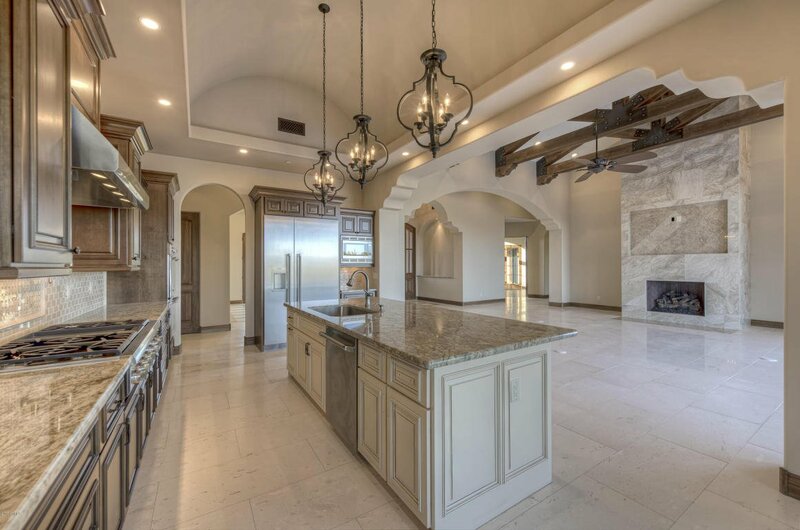 Center-island kitchen with stainless Thermador appliances opens to the great room with its soaring wood beam ceiling, limestone tile flooring & electronic telescope doors to showcase views. 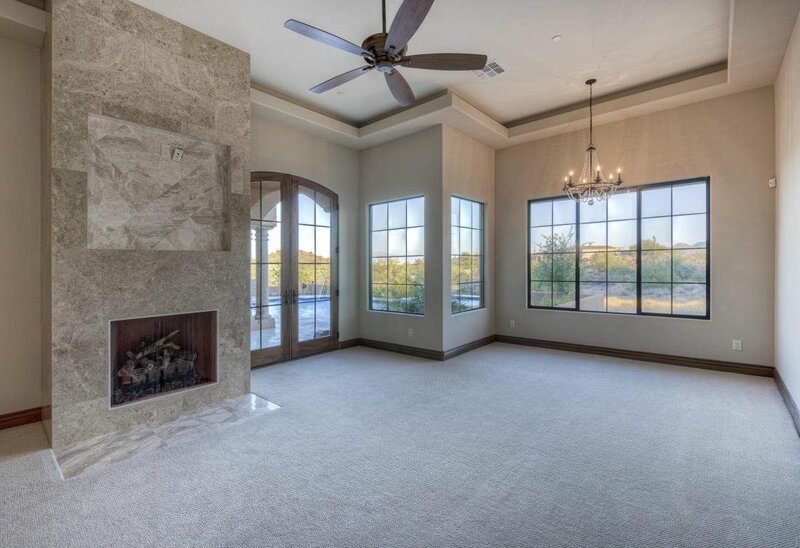 Both interior gas fireplaces have floor-to-ceiling marble tile surrounds. 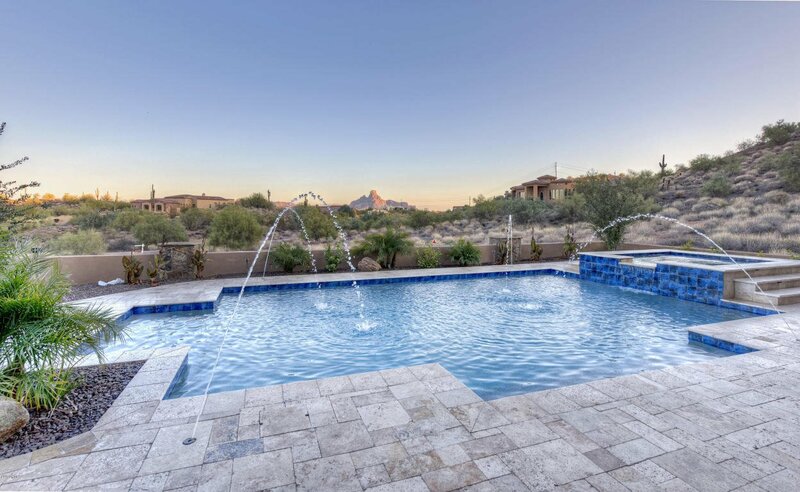 Backyard oasis has heated pool, spa, built-in gas BBQ & putting green.